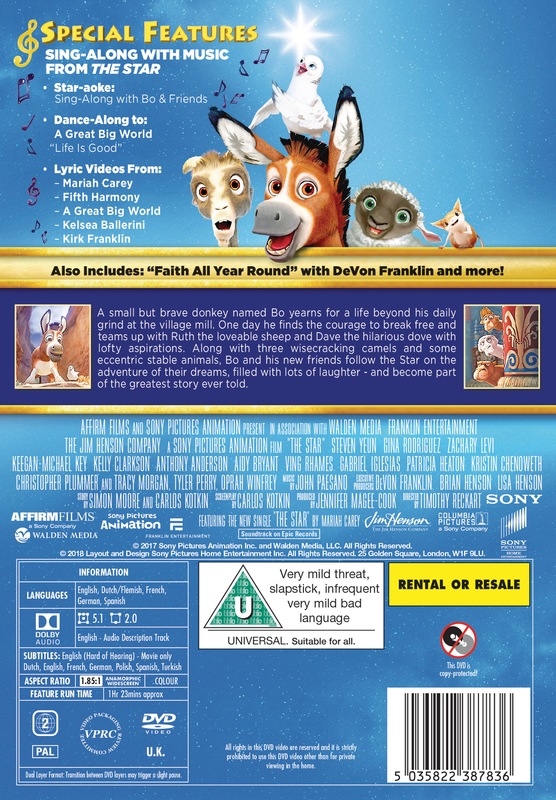 A donkey called Bo finds the courage to follow his dreams and finds himself part of the greatest story ever told. Looking for a festive family film? Features voices from Oprah Winfrey, Kelly Clarkson, Kristin Chenoweth, Gina Rodriquez and more. With music by Mariah Carey. The Star was published by Sony Pictures Home Entertainment in November 2018 and is our 2036th best seller. The ISBN for The Star is 5035822387836. Beautifully created, captivating movie for all ages, especially to enjoy together. Wonderful Special Features too. Excellent film, although we are "adults" we (3) all enjoyed it. The message was clear. Watched this with our grandchildren in the summer in USA and found it absolutely captivating. gifting this to our children's group at church so that they too can enjoy as much as we did. Great dvd children in my youth group all loved it. Me x my 7 year old loved this movie. Funny x loveable characters. 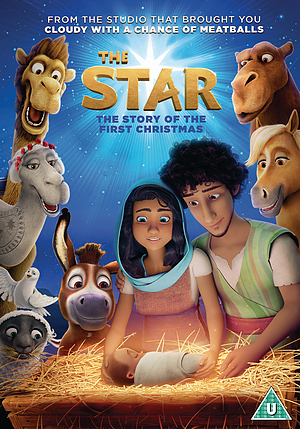 A good family movie, and a really nice way for the younger ones to learn about Jesus birth. God this DVD because my kids (then7&11 years)& I loved the film last year. Humourous, but careful take on the Christmas story, great characters & songs included & some different perspectives. Really feel-good. I can’t wait to give it to them over advent & I’m sure it’ll be watched for many years to come in our family. Very good my 5year old granddaughter loved it. The only fact I noticed was in this Mary told Joseph about the baby after they were married not before . This is a fun film for the whole family to enjoy. My 4 year old daughter enjoyed it. It was well made. Take a peek at some articles related to The Star. Got a question? No problem! Just click here to ask us about The Star.